Few days back, we conducted a reactions war on our DeviceBAR group for the best/favorite primary browsers and yes, of course, most of them picked Google Chrome. I think the reason is quite clear, it’s from Google, and it’s probably the best clean browser with plenty of extensions. But should we sacrifice something for this? Yes, most definitely, Chrome unfortunately consumes more RAM, thus less battery life for your laptop. I experimented this with Firefox and Opera, it was pretty clear that Chrome was the main culprit in this case. But, there is a smart & simple way to find which Chrome tab is consuming more memory, you can close that tab and save some RAM memory. 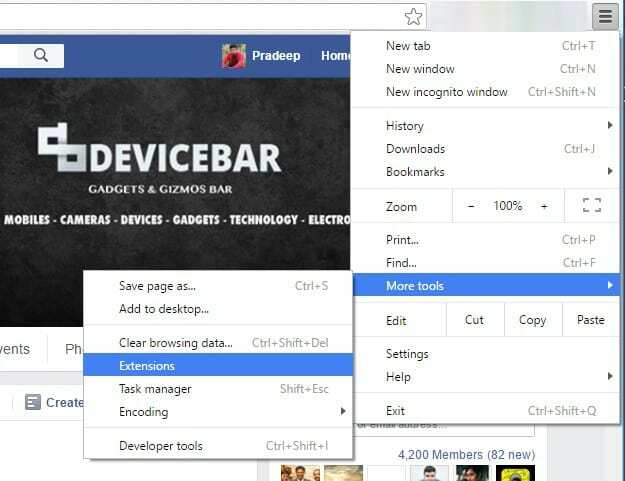 This will help you to use Chrome smoothly and avoid unnecessary battery sacrifices. Let’s figure out which tab/extension/website is killing your memory. How To Find Which Chrome Tab Consuming More Memory? Click on the Chrome menu (hamburger menu), go to More Tools and then select Task Manager. This is similar to the Task Manager on Windows OS and Activity Monitor on macOS. You can find the list of tasks running here. You can see the list of websites and extensions currently running here. You can see the memory as well here, both shared and private. You can easily figure out which website is consuming more RAM/Memory, and you can click on the End Process button at the bottom-right. Whenever my laptop is acting weirdly and if Chrome is also running at the same time, I used to open Task Manager and kill all the unnecessary websites. Go ahead and experiment with your Chrome browser now. 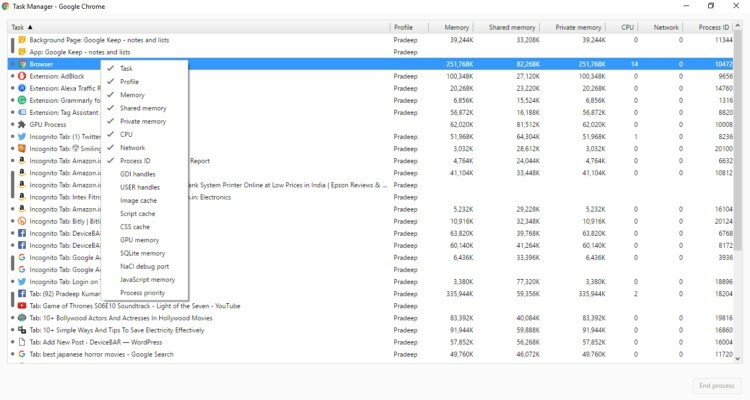 See which video/app/website/extension is bothering your laptop/computer memory a lot, then click on “End Process” and live a peaceful life. 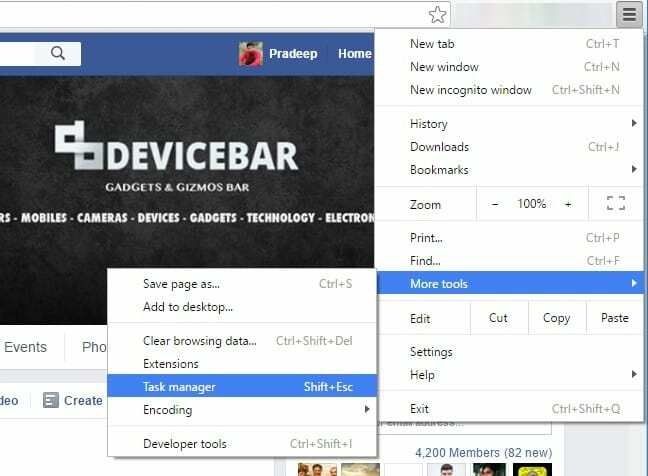 If you have plenty of active Chrome extensions, then this might also cause some issues on your Chrome memory. 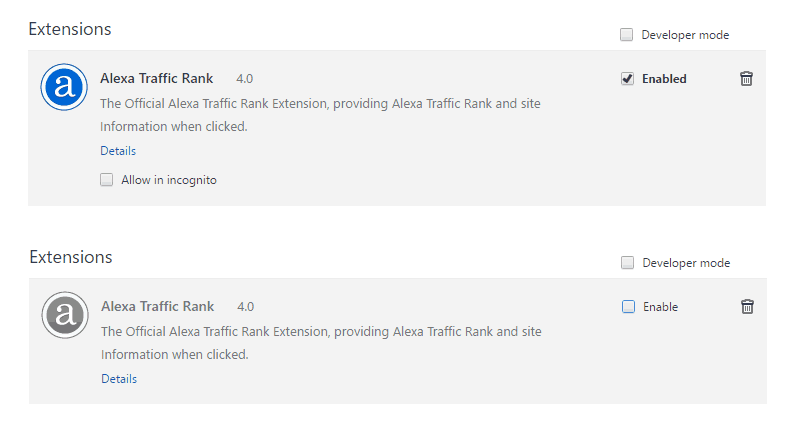 So you can disable unwanted active extensions and see if it is making any impact on your Chrome performance. Click on the Chrome menu (hamburger menu), go to More Tools and then select Extensions. Here you can enable/disable them according to your convenience. I usually enable some extensions whenever I need them, I don’t just keep them active all the time, it’s kinda unnecessary. Enabling/disabling them just takes a few seconds, so why bother. I know Chrome is still the favorite browser for most of us, but I badly hope they give some fix for their hidden RAM-eating beast. Do use this simple tip and see which processes are consuming more memory on your Chrome browser. Do share with us in the comments below.